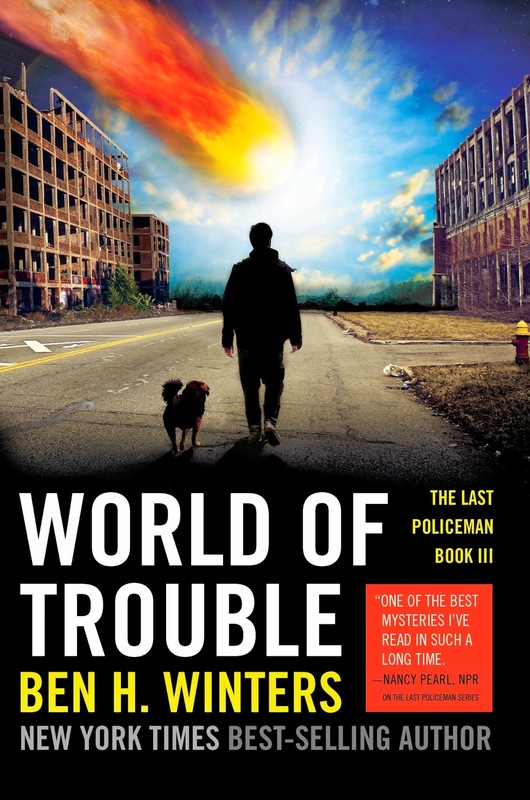 Next week, the world will finally get the third book in The Last Policeman trilogy, World of Trouble by Ben H. Winters. I didn't expect this series to become one of my all-time favorites but somehow it did. Between the first book (The Last Policeman), the second (Countdown City), and this one, I only spent about four days reading. I just couldn't put these books down. I can't say if it was the sense of urgency of an impending asteroid strike or the need to help Detective Henry Palace find what he was looking for or simply the morbid desire to watch the breakdown of civilized society as the end of the world approached. Whatever it was, this was an incredible ride and I'm sorry it's over. I feel like this post should be longer because I enjoyed this series so much but I don't know what to say besides READ IT. I read the end of this as soon as it was out of the envelope, and it made me too sad once I discovered that [character name redacted] had been killed. That is too sad! I am going to have to be in a really, really positive mindset before I can read this book. 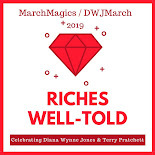 I sent you a note to avoid being spoilery here but I'll just let everyone else know that it's actually amazing the way that this book doesn't get you down. I can't explain it.